The Award Winning RAM Model 4131 ‘Revolver’ for handling of bulk materials on a Reach Stacker is designed in accordance with DIN 15018. The RAM ‘Revolver’ can be designed to interface with new or existing Reach Stackers and electrical communication systems. 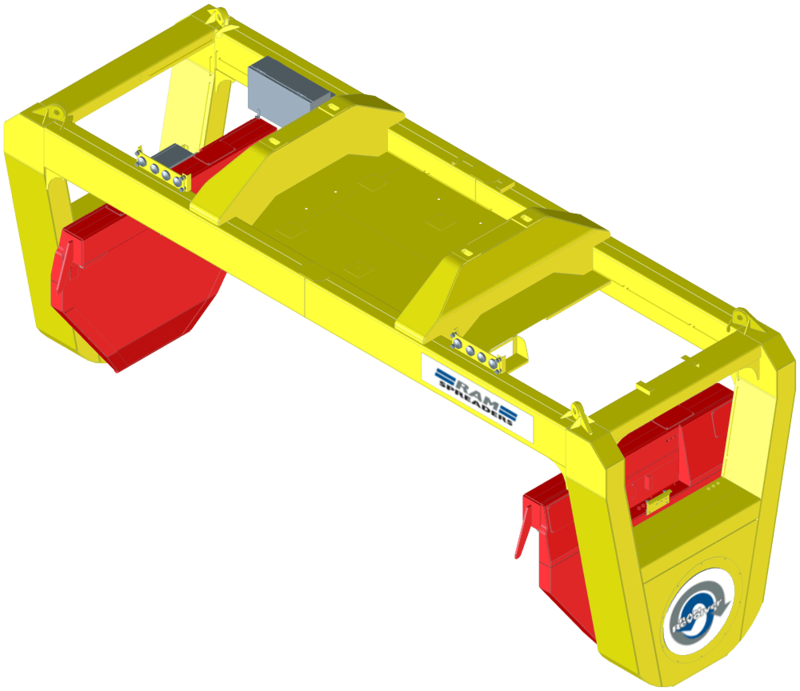 The ‘Revolver’ is electro-hydraulically operated with all functions of the spreader controlled from the operator’s cabin. The RAM Revolver provides safe, efficient and environmentally friendly bulk handling with the use of a clever lid lifting mechanism that removes the lid of the container, rotates the container tipping the commodity into the ships hold in a single continuous operation.